MDH Construction, Inc. is a full service contracting firm. We handle all aspects of construction including remodeling, new homes, additions, kitchen/bathroom renovations, crawl space encapsulation and foundation repairs. JL Loper Construction Company, Inc.
Local Residential Residential/Commercial General Contractor specializing in customer service in new and remodel construction. East Hill Building and Design provides high quality craftsmanship for a broad range of construction projects from complete home construction to basic home renovations and additions. We are a professional remodel firm providing a wide range of construction services including windows, cabinets, kitchen and bathes design-build, renovation, remodeling, water and fire restoration, insurance restoration, repairs of all types, and facilities maintenance services. Our team has several decades of experience in all phases of residential construction. We have experience in all realms of construction to include ground-up construction and additions to the restoration of historic homes. We pride ourselves on being a client focused company, developing our skills and resources to solve their particular needs. To maintain the highest levels of client care, we have developed a project management system that focuses on communication, attention to detail, and personal accountability. Effective communication is the key to fulfilling client expectations. Our experienced project managers stay in close contact with clients regarding the progress of each job, and respond quickly to questions and concerns. We look forward to helping you with your next home improvement project and making your dream home a reality! 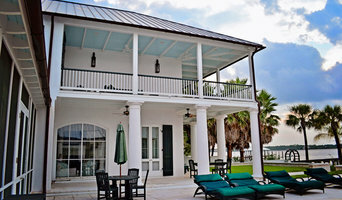 Custom residential construction services Serving Mobile and Baldwin Counties Reyner Construction is a locally-owned and operated company in Mobile, AL offering custom residential construction services. Every project is personally managed by owner Wayne Reyner, a licensed general contractor with more than 15 years experience building and remodeling homes. Reyner Construction’s strengths are building beautiful spaces for clients while balancing the cost of construction with the value of the home. Whether you’re looking to renovate your existing home, build your dream house or office space, we work with you every step of the way to ensure quality and cost control. Our team of highly qualified professionals will make sure all your needs and expectations are met. Intelligent. Authentic. Inspired. 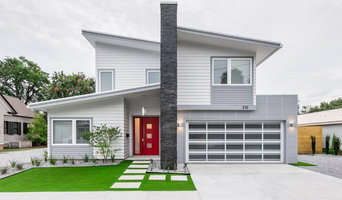 Sprague Construction knows how to build homes for people who love to be at home, who want maximum functionality along with splendor, who want state of the art comforts with lasting charm, who want the lines between contemporary and classic, interior and exterior blurred to create seamless, beautiful flow. Let us interpret the intricacies of your dream to give you the home that will make every day a celebration of life as it is meant to be lived. Our company strives to provide a professional handyman service to the entire Alabama and Mississippi Gulf Coast from the smallest of jobs to the biggest of jobs. Our company distinguishes itself from other contractors and handyman services through our quality customer service. Providing the entire Gulf Coast area with a timely handyman service will allow our company to take full advantage of the shortage of quality, customer oriented contracting and home remodeling services. We provide general contracting services with a customer-first attitude to make your dreams and ideas a reality. Our goal is complete customer satisfaction. We strive to change the image of contractors one customer at a time with good communication, great quality, and fair prices. We keep our customers as involved as they want to be in their project and do everything we can to stay on budget and on schedule. We serve the Gulf Coast areas of Gulf Shores, Orange Beach, Perdido Key to Point Clear, Fairhope, and the entire Eastern Shore of Mobile Bay. Our only goal here is to provide you with information to make an "educated and informed" desicion regarding your addition, re-construction, or whatever the case may be. We are proud to have served this area for over ten years, and invite you to look around, visit our suppliers' websites, and then give us a call and let us work with you. 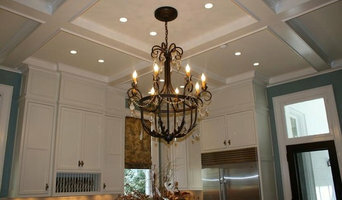 Hons Builders has built a reputation as one of the Mobile bay area’s finest custom home builders. With over 35 years experience in the Gulf Coast home building business Hons Builders knows just how to meet their customer's needs by truly providing them with the home they have in mind. General, or construction contractors, are often known as project managers. They oversee the entire remodeling or new home construction project and facilitate all day-to-day tasks that move it toward completion. A Daphne general building contractor will work with your architect to review plan as you build a house and ensure everything is in place before work is started as well as arrange for permits and necessary inspections. While good local home improvement contractors in Daphne will have the skills to handle certain tasks onsite, such as carpentry, he or she is also responsible for hiring subcontractors for the majority of jobs, such as electrical work, painting or plumbing. In addition, the general contractor should be on-site regularly to inspect the progress and resolve issues. Here are some related professionals and vendors to complement the work of general contractors: Architects & Building Designers, Interior Designers & Decorators, Landscape Architects & Landscape Designers, Kitchen & Bath Designers, Specialty Contractors. Home remodeling contractors are a must for successful completion of a renovation. Because of this, it's essential that you do your homework before deciding on the right general contractor in Daphne as you remodel or build a house. Inspect bids carefully. Was it ready when the contractor promised it? Was the bid for building a home unusually high or low? Each of these things can be very telling: A late bid may reflect timing standards, and an off-the-mark bid could be code for a pricey premium or a deliberate underbid to score the remodeling job. You should call references, carefully read reviews and visit completed projects in Daphne, AL to see if they’re what you expect for your job. Once you do secure your local Daphne contractors, read the contract very carefully to be sure everyone is on the same page. 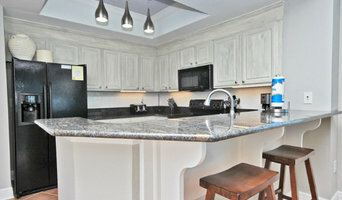 Find a Daphne contractor on Houzz. 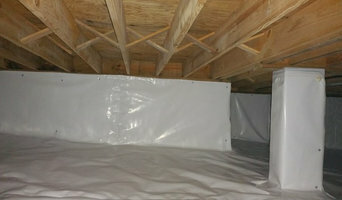 Narrow your search in the Professionals section of the website to Daphne, AL home contractors. You can also search for photos in Daphne, AL and contact the Daphne general contractor who worked on the project.